LOS ALTOS, CA (CelebrityAccess MediaWire) — Police are investigating the disappearance of $500,000 dollars from the operating funds of a 65-year-old northern California symphony. 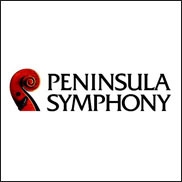 According to the San Jose Mercury News, the money represents the lion's share of the Peninsula Symphony's endowment and operating funds, leaving the organization's future less than certain. Police are investigating the matter and have declined to discuss the case. Steve Carlton, who has served as executive director of the symphony since 2010, is no longer affiliated with the organization. "The accounts essentially were cleaned out," spokesman Larry Kamer told the Mercury News. "We've got a lot of shock and anguish right now. But we also have a lot of people coming forward to help. The community is going to be more important than ever for us now." In the wake of the alleged theft, the symphony's board have engaged, pro bono, the nationally known law firm of Baker & McKenzie to assist with the organization's efforts to recover the missing assets. Despite the setback, the symphony still plans to proceed with their season opener, which is scheduled to open on Oct. 25 and 26 with performances by Irish pianist. At present, Mr. Kramer said that the musicians and symphony organization had raised about half of the funds needed for the season's planned schedule. "We are confident we can open this season, but we're going to need help getting through it and to rebuild," Kramer told the Mercury News.